If the integrity of your car windows has you feeling concerned, call on the highly trained experts at National Windscreens for mobile car window services in Caboolture. We can additionally provide assistance for locals in the nearby areas of Upper Caboolture, Morayfield, Rocksberg, Ningi, Meldale, Elimbah, Wamuran and Campbells Pocket. We can provide the above services for standard vehicles as well as trucks, buses and light commercial vehicles. No matter what you drive, you can trust that our mobile car window services will get you on the road again as soon as possible. Wondering why you should choose National Windscreens for windshield repair and replacement in Caboolture and surrounding areas? 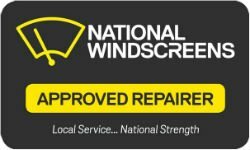 Look no further than National Windscreens when you need windscreen repair or windscreen replacement services in the Caboolture region. Contact us now to make a booking or learn more about how we can provide assistance.